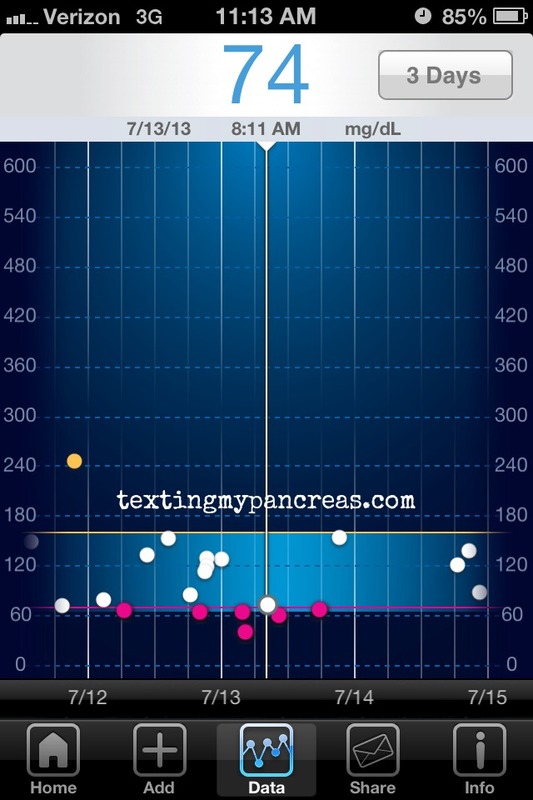 Texting My Pancreas: The Plan (Week Thirty Five). Wait, so maybe there can be cake. Last week had me seeing both the high-risk OB (also known as a maternal-fetal medicine specialist) and my regular OB. This was our last visit with the high-risk dude, and we once again got to see our little Rabbit on a 4D ultrasound scan. The good news is that she seems raring to go - all major organs look good, she's "breathing" like a boss, and the amniotic fluid levels look great. The BPP scan we did at my regular OB's office also produced another perfect score; 8 out of 8. This is all very good news. But unfortunately, not all of the news was ideal. Remember how I mentioned that while her size was creeping up, no one was freaking out about it yet? She now is being estimated above the 90th percentile in weight, and both my hope and my bladder are feeling a little crushed. And "crushed' compounds when I realize that I shouldn't feel badly about feeling badly, but yet I do. (What?) Let me explain. If I'm being completely honest with myself, my disappointment stems from now being an example of the incorrect assumption that "oh, you have diabetes, so of course your baby was big". I have worked so, so hard to keep this body a healthy environment for her (on top of all the normal pregnancy requirements); poked my fingers more than I ever have in my life; lost sleep so that I could check BGs during the night and eat a little something to keep the morning fasting ketones at bay; injected and waited, waited, waited until it seemed safe to consume some carbohydrates; participated in the frequent monitoring, doctor visits, blood draws and urine collections recommended; kept my A1Cs in "baby range" as soon as I was able to do so. It's possible that, even if I didn't have type 1 diabetes (or even if somehow I could have been hooked up to an artificial pancreas that could keep my BGs in those impossible ranges at all times), I still would have grown a baby her size. It's possible that she was going to be larger no matter what I did. But we'll never know, and I fear that the biggest thing that will stand out to some about this journey is that, judging by her size, I must have been "uncontrolled". That I didn't work hard enough. That it's my fault. 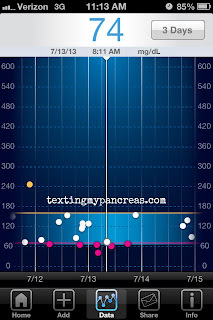 Once again I have to release myself to the conclusion that I ultimately can't control what happens here - I can try hard, and I can enlist the most competent medical team, and I can count every freaking carb and unit of insulin until it all starts blurring together, but at this point the whole thing's on a version of auto-pilot where what I do doesn't directly affect the outcome. And while delivering at 37 vs. 39 weeks would relieve me of the misery party I mentioned earlier, it wasn't what I was genuinely hoping would happen. And then I feel bad about feeling this way, because I sincerely hope that it doesn't come off as thinking that delivering early, for anyone, is a failure. I know that it's not. Everyone's situation is different, and 37 weeks is considered "full term" anyway. I only assign this feeling to my own personal situation, because that's the only situation I know all of the details and inside information into. My own journey with pregnancy is the only one I can judge, because it's the only one I truly know. Though I know this is the plan that is probably best for her, I can't shake the feeling that I didn't do the best for her along this journey somewhere, somehow. (But again, what could I have done differently?) I know that so many others with T1D have delivered very healthy babies during week 37, and I hope that our story is no different, no matter how I may feel about it in this moment. (And if you're one of those who did deliver early and shared your story with me, thank you- it is helping me in ways I can't now articulate to accept what's coming.) Much in the same way that removing most of my pre-pregnancy clothing from my closet helped me feel better about how I was growing, I've packed up the newborn-sized clothing the little Rabbit will probably never get to wear as a way to help me accept what will be. I keep telling myself that if she is healthy when she's born, it shouldn't matter how (or when) we get there. I keep telling myself that, but I can't say I believe it with my whole heart just yet. I hope that can change in the next two weeks. Due to her estimated chunkiness, we won't be giving her the 39 weeks I had hoped for. We're scheduled for an amniocentesis in a couple of weeks (which is during week 37 of pregnancy for me), where I'll hang around my OB's office for monitoring a couple of hours after the test as we wait for results. If the test results indicate that her lungs are fully developed, we'll be checking into the hospital that night to start induction. Until then, I'm working on packing the rest of our hospital bags, while unpacking the disappointment and guilt I'm feeling. It's the kind of baggage that's best left on the curb. You feel defeated because you are officially a mother. And the guilt that you aren't doing enough will follow you the rest of your life. (It's a mom thing.) BUT! Every moment, the good and the bad will add up to amazingness! You're doing it right! Carry on, wonderful friend! great post... indeed leave that baggage on the curb and help teach other soon-to-be mamas how to leave that kind of baggage aside also. That baggage is more like a weight that will drown you instead of keep you afloat! You have done and are doing the absolute best you can! You are an inspiration and blessing to us all. Thank you for being honest and for sharing from your heart! Oh sweetie, we don't know each other, but I had a hellatious birth experience despite my best efforts and spent the better part of 5 years trying to deal with my feelings about it. The vision I had in my head was not what happened. I didn't have a lot of time to "prepare" for that. It was an emergency situation, but the back end was brutal. You have done the best you can to give your baby the optimum environment. That is all you can do. You will love her and be there for her in every way imaginable once she arrives, but some things on the journey to the exterior world are just out of our control. Take a deep breath and find your peace with it. Leave that baggage on the curb. There will be enough motherly guilt for eternity coming, you don't need to start while she's still inside. I don't know if this comment will help or not, but I just want to let you know that the experiences of you, and Kerri, and the other preggo FWDs that I've had the privilege of knowing and watching their pregnancy experience actually relaxes me for my own (far off in the distant future) pregnancy. I think the reason is because I've seen how hard you ladies work at this and it still doesn't end up with the picture perfect pregnancy. I know that I still need to put in all the work and do all that is required, but it's kind of like why we manage our diabetes day-to-day. We do it not because it's a guarantee that nothing will go wrong, but it reduces the risk that something will happen. At the end of it all, if things don't work out the way it was hoped and dreamed, it's NOT YOU. It's the diabetes. We do our best in the face of extreme adversity. If it was perfect and easy, we wouldn't be fighting so hard for a cure. I completely agree with you Allison! I couldn't have said it better myself. Thank you, Allison. It does, most certainly, help. where is the "like" button for this comment? Literally lol'd at "I told him to go f*ck himself..."
also agree with the 2 lb rule--my niece was predicted to be 9lbs 4 oz but she only came out at 8lbs 2 oz. especially if you have a family of big people, don't let that scare you, kim! as a woman, your body was made to give birth! we stretch, we bounce back. ain't that true in most things of life though?? Yes! Mine was 6 lbs 5 oz at 32 weeks delivery because of my health status. If I'd have gone anywhere near full term, he would have walked out himself! It's just an estimate until she hits the scales. Hag in there. The Magpie was a 37-weeker! It certainly seemed like a huge deal at the time, and I thought about it constantly, but she was just fine - and still is. That said, I know how you feel, and I still feel that way sometimes. I super-duper promise it's all going to be okay. I felt similar to this in the last few weeks of my pregnancy. The ultrasound techs measured that my baby would be big as well--estimated over 10 lbs. He was born at 7lbs 13oz. Keep in mind that the estimated measurements are just that---estimates! Even if your precious girl does turn out to be 'big'--it sounds like you know that it is VERY possible that you are just meant to grow a bigger baby. A good (non-diabetic) friend just gave birth to a 9lb 6oz baby boy. I know that as mothers, we cant help but worry if we are doing the right things in ALL the things we do...it's inevitable. Know that you are doing the very best of your ability and that the universe has a way of taking care of things the way they need to happen. Girl. I don't know anything about having T1 and delivering a baby. But I know a lot about guilt. And thinking, even though you know it's not true, that you could have done more, you could have done something different, you could have.... What if I had.... I get that pain. And I know nothing can take it away when you know all reasons it's not true and still feel it. When you have your little cutie in your arms, you won't care how big she is or that she may never wear newborn clothes. You may still have some guilt... But mostly you will just feel overwhelming love. And what others think just really won't matter! Having a smaller baby born at 40 weeks doesn't guarantee perfect health free of complications. I had a 7 lb baby born- after an induction - at 40+ weeks. She was dxd with T1 just 3 short years later. Yeah- I still wonder what if... But mostly I just feel so blessed to be her Mama. You're going to feel that way too!! I am so excited for you!! YOU CAN DO THIS! 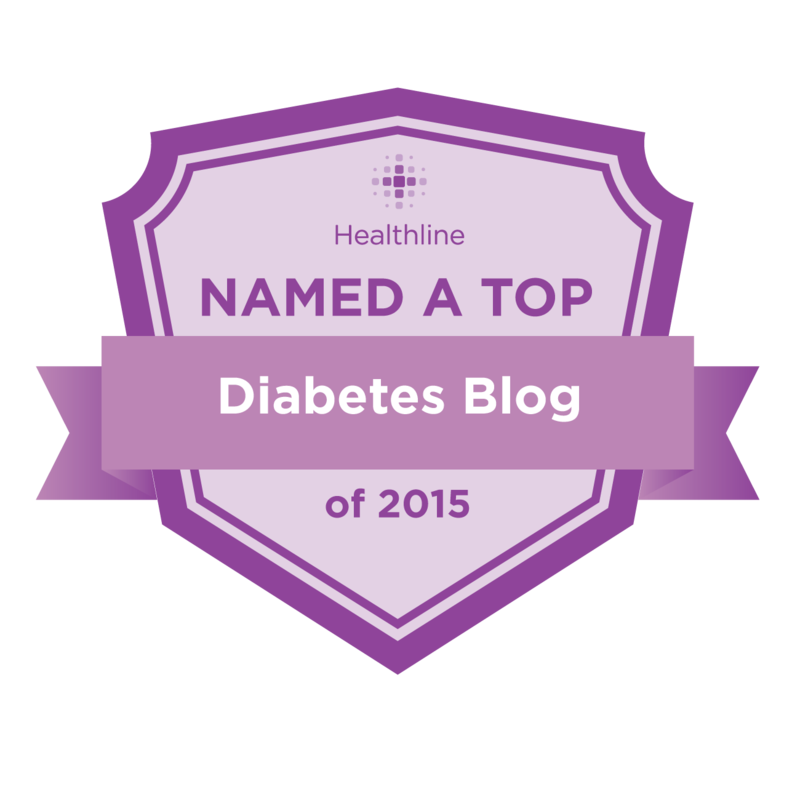 Please don't worry--you're doing great and are an inspiration to us future diabetic mamas! My baby, Madison, was born at 37 weeks and 4 days and was perfectly fine. It'll be okay and you have done amazing with your pregnancy! As I read your paragraphs about disappointment over becoming an example of incorrect assumptions, I heard my own thoughts. Ben was born at 38w1d (my water broke) and was 8lb 6oz and 21in long. He was bigger than I waa hoping and pretty big for a small me (I'm 5'2"). At 6 weeks old, I still flinch when people say "oh he was/is big!" and the "knowing" look they give for that and the fact that I had to have a c-section. But, I have also reached the point where I will either take a breath and explain or I will ignore them. Right now, Ben is fast asleep on my lap, one hand on my chest and smiling once in a while. So, it doesn't matter, any of it. Not what his weight was or is, not what people say, not how he came out of me, not even how hard I worked for all those months, because he's ok and happy and adorable. And your little girl will be too. That is all that matters now. Hang in there. She's coming and she will be healthy and beautiful. Because I'd had previous uterine surgery (fibroid removal) and NOT because of my diabetes, I knew from the get-go that I would be having a c-section. Our MFM initially pushed for delivery at 36 weeks, but I bargained with them and held out for 37 weeks and 1 day. It was not what I'd always hoped for/dreamed of, but it was what it was. Night before the c-section, I cried my eyes out because I knew I wouldn't get to hold her immediately and be with her because of all the c-section crap. All my fears and sadness melted away the second I heard her cry, and then saw her for the 1st time. She was there, she was healthy (7 lbs, 3 oz!!) and all my hard work taking care of my sugars was worth it. No matter what ends up happening with your delivery, it is YOUR story, and when she is here and safe, it will all be just the way it should be. So... they said my Anna was going to be big - at least 9lbs based on her head circumference, etc. She was 6lbs 13oz induced at 38 weeks with a really nice 96th percentile head circumference. There is only so much they can do with the tools they have to measure- believe me, I've read all your posts. You've done EVERYTHING right. The only important outcome from pregnancy is a healthy mom and baby. Nothing else matters; not birth weight, method of delivery, whether or not you use pain medicine, had an epidural, how your labor started, etc. All of that other stuff is just a part of your story; it's not you or your daughter. Remember, YOU CAN DO THIS! You can so do this. And you've done an incredible job this far! Keep going, mama, the little one is lucky to have YOU! Lukas was born at 37 weeks. The ultrasound estimated him at over seven pounds and he turned out to be only 5 lbs 15 oz. And most importantly, he was perfectly healthy. This guilt you're feeling is only the beginning. But you eventually learn to let it go. They are so precious -- you don't want to waste any of your time with them obsessing over the guilt. I was scared to death when I was in yours shoes. Take it from me, you'll figure it all out just when you need to. Everything will fall into place. Just try to relax and enjoy the journey. Birdy was a 37 week'er, as well. You're in good company. And leave the guilt where it belongs - on the effing curb. xoxo a billion times over. You have been such a champ during your pregnancy...your willingness to share the good, the bad, and all the emotions in between. In retrospect (my dau is almost 10yrs), I didn't do a great job taking care of myself during pregnancy--I did pretty well, but I did nothing to control the crazy post-meal swings. And my docs were concerned about my baby being small. Wha? 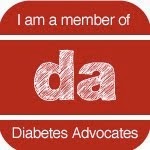 Baby of T1D small? As you may have heard, pregnancy eases you into the coming storm of questions, judgement, disappointment, and a roller coaster of amazing with a little bit of sad. I'm happy to say now that it's all been worth it. You find your own way, with help from those you trust, and you learn to stop (or at least slow down) the self-questioning. Best wishes on this amazing journey! Just like everything you do, you work so hard and give so little credit to yourself! You have done an amazing job at growing your precious Rabbit. You've done it with so much love and dedication that no matter what the #s are, she will be perfection! The last few weeks are the hardest because you feel so uncomfortable, you're over-thinking what you "could have done" and you're full of anxiety waiting for her delivery. All this will go away the second you lay eyes on her, she will be perfect! She will be so loved! Hang in there and know that you are weeks away from the most amazing blessing! Your beautiful baby girl will enter this world and your happiness and joy will totally erase any of this guilt stuff you're doing. Sit quietly in a chair and enjoy the dreams that you have. And smile. You're going to have a baby! I can't wait to finally see her, so I can't even imagine how excited you are. I'm not sure about the defeated feeling, but Meri's comment at the top here seems about right. Leave it at the curb! You are definitely in the mom club. We can feel guilt about everything..if we let it get to us. Just relax knowing you did all you could, and that is ENOUGH.